Beth Cappadora is at a reunion in a hotel when her middle child of three goes missing. At first the search is informal but it grows increasingly frantic and official as they realise that Ben has been taken by somebody. The family never fully recovers and carry the scars for years. Nine years later the family have moved to Chicago to start a new life. When Beth has a local boy come to the block to cut the grass, she believes that he must be Ben because her looks just like him despite the age. The police recover Ben but is it fair to take him away from the people Ben now considers his family? The plot summary gives the impression that this is just a standard weepy that would easily screen on a weekday afternoon. However the presence of a couple of well known names in the cast list suggests that this film will give the subject a more serious approach that acts more as drama than weepy. Partly the latter is true but not 100%, and the film is still essentially a sort of weepy that has a control of it's emotions and is actually quite stable but not to the point where it is an engaging debate. The material should be thought provoking but it isn't really. What I thought would be the main thrust of the film was really just mentioned in the final 20 minutes and it was not only obvious that it was coming but it was quite logically dealt with without real emotion - this is not a `Sophie's Choice' situation but something quite lacking. The start of the film is OK but it deals with the loss too easily and I never got overwhelmed with the emotions the family must feel. Towards the end the film does a good job looking at the effects the whole thing has had on the other son's character but even this lacks an emotional punch. The cast are good on paper but they seem strangely stilted. 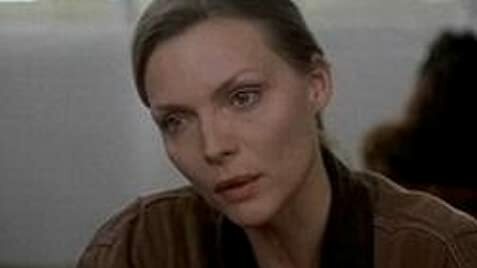 Pfeiffer is a good actress who sadly doesn't seem to get as much good work as she gets older. Here she tries hard but can't get across what her character must be feeling inside. Williams is an OK support for her and does OK. Jackson is quite good and his character became more interesting to me than the return of Ben itself. Goldberg hangs around but attempts to give her a character through one line of dialogue about her sexuality and security in her job are so out of the blue that I was left wondering where it came from. Overall this is not a weepy because it aims higher than that and doesn't wrench all the emotion out of every scene to get the audience. However it doesn't aim high enough or reach the level where it is emotional or thought provoking, the end result being an interesting film that is a notch above the level of daytime TV weepy but not as worthy or moving as it wants to be.